Hi everyone! I've got a card today using one of my favorites from the summer release, Surf's Up! This set is one of favorites for many reasons. 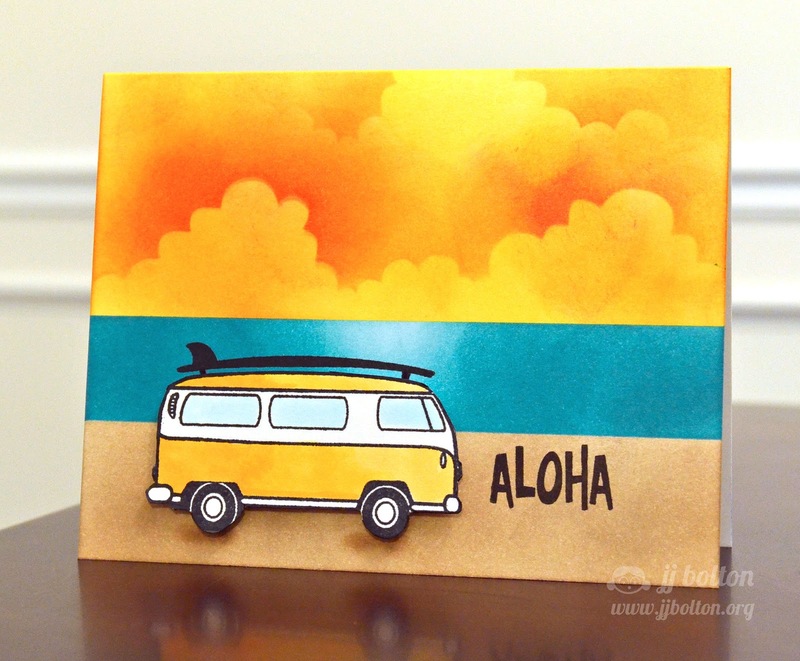 Obviously, it's a beach theme and I'm pretty much genetically programmed to love all things to do with the beach;) Secondly, it reminds of the VW van that my parents bought when we lived in Germany when I was younger (army brat). We traveled in that thing all over Europe and those memories stay with me even today! Until next time! Thanks so much for stopping in! I seriously can't get enough of your cloud backgrounds. They are so gorgeous!! Thank you so much for sharing the cut file with us!! Can't wait for it to be posted!! This has to be the most perfect sunset scene ever! Great sunset background ...reminds me of the few sunsets I have seen in Hawaii. Gorgeous clouds and I love the blue/orange inked colors together! Awesome card! That sky is perfect. This is one of my faves of yours too, JJ! I love how you depicted the reflection of the sun in the water and the ground under the tires...so realistic and such a cool summer scene, too! I am always amazed with your fluffy clouds, so I would love it if you could post a cut file for us sometime...Thanks! Aloha! I think this may be one of my favorite cards of yours, too! That is one fabulous sky! Love this set too. Born in San Diego, so beaches are in my DNA too. Can't tell you how many VW vans were around when I was growing up. They were like San Diego's official automobile. Anyway, your card is so reminiscent of those days. Love the reflection on the water and those incredible clouds. JJ this rocks, how did I miss this. You sky is awesome with the van driving along--LOVE! Paper Smooches August Blog Hop! Studio Calico Poet Society Sneak Peeks! 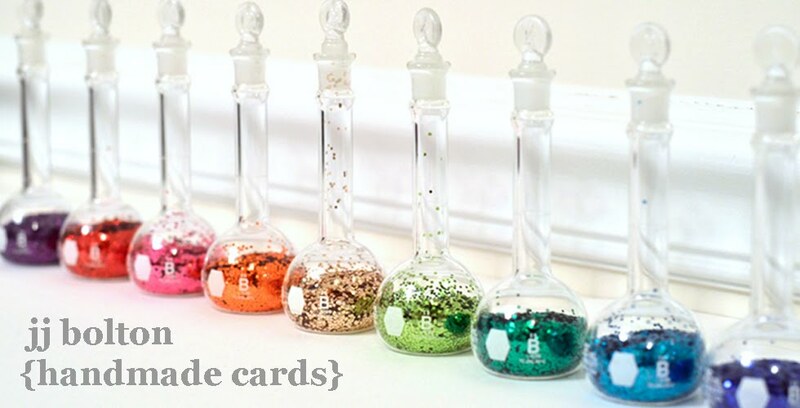 Guesting on the Waffleflower Blog!